Oracle 9i started introducing Flashback technology into the Oracle RDBMS. Flashback unlocks the UNDO data already available in the Oracle database for read-consistency, for other applications. Using Flashback queries for example, we can take a similar look in the past that Oracle takes for executing long-running queries or supporting the transaction isolation level of Serializable. Using Flashback, we can compare data as it is right now with how it was several transactions or time units ago. Over the course of the last six years or so, Flashback has broadened considerably. There is the Flashback Query, the Flashback Table including the ‘undrop table’, Flashback Database and as of 11g we also have Flashback Archive, for more fine-grained control over which tables should be flashback-able for a set period of time. 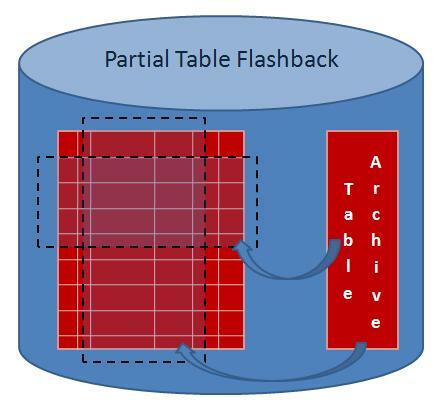 This article introduces the latest refinement in the Flashback functionality: the partial table flashback, now possible with Oracle 11g. your staff has been working hard on processing dozens of orders from your customers. And when everyone feels the work is done, the atmosphere is celebratory, the DBA intern comes along and accidentally deletes a bunch of records. Before Flashback, that would have stopped the party right there and then. However, with Flashback, it is an easy action for the DBA to compensate for the intern’s mishap: FLASHBACK TABLE TO SYSTIMESTAMP – 1/24/6 to return to the situation as it was 10 minutes ago, just before the records were accidentally destroyed. In less than a minute, the party is back on. Now this scenario: the same situation – with a tiny difference: the intern started his day early, made his colossal error right away which was only discovered at the end of the day. Between the error – destruction of dozens of customer records – and the time of discovery, many other records in the same table have been added and modified and some have been purposefully removed. Using FLASHBACK table, as before, we could return to the situation of this morning, before the intern came along. However, that would undo the work of all our staff on that table’s data during the rest of the day. Alternatively, using Flashback Query, we can reconstruct data record by record. A painstaking manual process, but it can be done without loss of our staff’s efforts. Partial Table Flashback helps us out in this second scenario: we can perform a Flashback on the table, but only for selected records! All we need to do is construct a Filter Condition that will include the records that should be flashed back or exclude those that should not. DBaMiS_PARTIAL_FLASHBACK will take care of the rest, without manual intervention and record-by-record recovery. a vindictive (now former) employee has been randomly (or so it seems) deleting customer records from our CRM system. We would like to get those records back! However, other changes in the table – inserts of new customers and updates to other records – should not be lost. A partial flashback that only restores deleted records is requested! 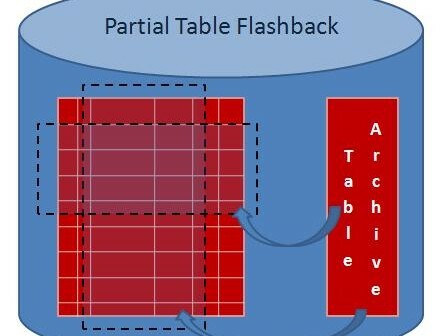 This and more can be done with Partial Table Flashback in Oracle 11g! At this point we realize our mistake: we should never have removed the Employees from Department 10! Now we need the partial table flashback for the lost records in department 10, without losing the changes for the CLERKs and the BOSS. Lucky us: all employees in Department 10 restored, and all other changes retained – initcap ename, BOSS instead of Manager, New Employee Lex and the slightly higher salary for the CLERKs – except for the Clerks in Department 10. Now we need partial table flashback: to reset the values in SAL and COMM to their initial values. And there we go: the SAL and COMM values are restored, while the changed in JOB and ALLEN’s HIREDATE as well as the new Employee TOBIAS are retained: it’s a partial table flashback! Note: the package we use here, dbamis_partial_flashback, is not a standard supplied package, it is a package I created myself. However, it is fairly simple – less than 200 lines of code – and uses standard functionality: primarily dynamic SQL, dbms_comparison and flashback query. In a subsequent article, I will discuss the package in detail and make it available for download.